How Is Debt Discharged In A Bankruptcy? When you file a Missouri bankruptcy, the court will officially discharge (i.e. knockout) your unsecured debts. The federal government of the United States (by way of the US Constitution) preserves this right, and gives the court system the legal authority to do so. The US Congress may from time to time change or tweak the underlying rules, but the concept remains the same: As a citizen of the US, you have the right to file for bankruptcy. Of course, what kind of discharge you receive depends largely on which type of petition you file. In a St. Louis Chapter 7 bankruptcy, unsecured debts (like credit cards, medical bills, payday loans) are discharged right away (typically within three to four months of filing). In a St. Louis Chapter 13 bankruptcy, it is possible to have all of your unsecured creditors discharged. But it is also a possibility that you would have to repay some of that debt. The goal, of course, would be to put you in a plan that only required a minimum amount to be paid back (and get the vast majority of it knocked out). Either way, once the debt is discharged, it’s gone forever. The creditor can never demand payment from you again, and you are under no further obligation to pay for it. Your credit report will reflect this change as well. In fact, once the debts are officially discharged, your credit score will typically jump 20 to 30 points up right away. And of course the ability to rebuild your credit rating even further will be immediate. 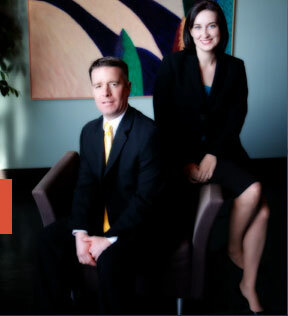 The St. Louis bankruptcy lawyers at Brinkman & Alter, LLC have the necessary experience and knowledge to put you on a path towards financial freedom and recovery. Our staff is prepared to help guide you through this process step-by-step. And all phone conversations and office consultations are free of charge.